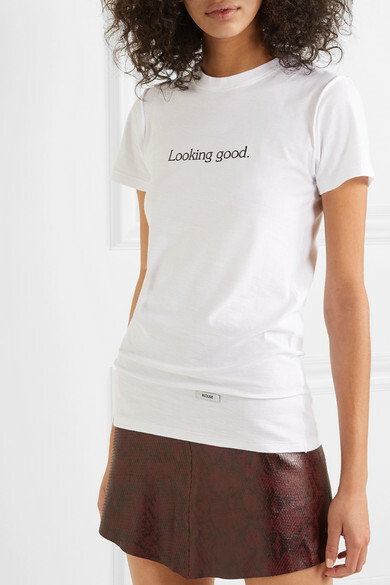 It's fair to say we all love a slogan, especially ones that can brighten your mood - and BLOUSE's T-shirt definitely will. This cotton-jersey style is printed with 'Looking Good' on the front and 'Feeling Gorgeous!' on the back in bold red letters. Tuck yours into jeans or a mini skirt and team with chunky sneakers. Shown here with: SPRWMN Skirt, Danse Lente Clutch, Brandblack Sneakers.